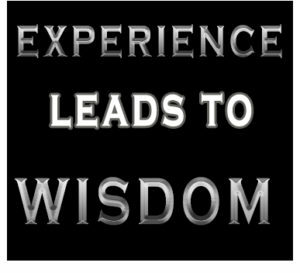 Wisdom: The soundness of an action or decision with regard to the application of experience, knowledge, and good judgment. Well, we didn’t have much of that in our former lives, did we? We ran our lives on selfishness and self-will. We went after what we wanted, everyone else be damned. Those decisions often didn’t work out and they carried consequences. They damaged relationships and hurt the people who cared about us most. They destroyed our careers and opportunities for something better. But what had we to guide our decisions but our own selfish desires? We knew we could not drink, yet we drank. Using once would lead to full-blown relapse, but we did it again. Anybody try to intellectualize themselves out of drinking or getting high? How did that work for you? Anybody in love with their highlighter? Studying all the literature about alcoholism, even Alcoholics Anonymous until the pages glow yellow? I did… With a degree in psychology. Experience proves we cannot outsmart alcoholism or addiction. How are we going to use our warped mind to heal our warped mind? Yet we try that very thing — to cure an illness of the mind alone. We don’t do those things very well, obviously. Or motivational memes on Facebook! But it didn’t, did it? But we had no experience to rely on that wasn’t negative. All we knew was we drank or got high and that turned our lives into dumpster fires. We had no wisdom when it came to living a sane life of sobriety. So, we looked to those who do. A bunch of people who have already made the journey to sanity and safety are offering to lend us theirs. Here are thousands of men and women, worldly indeed. They flatly declare that since they have come to believe in a Power greater than themselves, to take a certain attitude toward that Power, and to do certain simple things, there has been a revolutionary change in their way of living and thinking. In the face of collapse and despair, in the face of the total failure of their human resources, they found that a new power, peace, happiness, and sense of direction flowed into them. This happened soon after they whole-heartedly met a few simple requirements… They show how the change came over them. That means they know this. Not because they studied it or somebody explained it to them. It happened to them, and is undeniable fact. Their experience shows that if they can rely on it for something so critical as sobriety and survival, then they can surely continue to use this solution on the tiny inconveniences, setbacks, and drama of daily life. Only by walking the Spiritual Journey that is the 12 Steps, by putting them into real-life action, can we gain that type of wisdom. We cannot borrow the wisdom of others forever. It must become our own — a part of who we are. We must take the actions to truly know they work. We realize we are alcoholics and addicts and that we are in danger of losing our freedom and our very lives. We make a decision to place our lives in the care of a Power greater than ourselves. We learn we are very flawed individuals, and pray for those things which are causing our destruction to be removed. We rely on that Power as we go out to our family, friends, former spouses and partners, and former employers to make things right. And we find that Power does not fail us. We come to base our very lives, day in and day out, on Its guidance and grace. We begin to understand this is the way to live life successfully. The presence of our Creator and a sense of His will for our lives becomes our guide that we can rely upon absolutely. 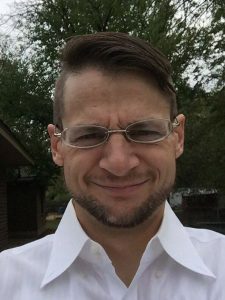 There is nothing intellectual about that.